Branding is the most crucial part of any flourishing or new or upcoming business organizations. A perfect and unique Logo can be the ideal choice in such a case. A logo provides the first impression of your company. A meaningful and creative logo would definitely help to boost your identity. As the logo represents a company, so it must be a serious job designing it. You can arrange it in an economical way whether by hiring any dedicated team for the logo design or can contact a logo designing company. Custom logo design in any company is comparatively expensive than that are designed by cheap logo designers. But today it is the trend of the business of focusing more on customized logos for building the brand of the business. The logo is the pillar of your business brand image. It can add value to your business and also help you to create the identity of your business. With a catchy logo, the brand name of the organization will click with the public easily and faster which is a crucial step in any business marketing. Whether it is a small, medium or large business house, a professional brochures designs and custom logo design is a necessary tool to upgrade your company and beat the competitive market. There is no better way to design a logo that will stand-out, gain visibility and work for your business brand. Prime Scan India is an expert in the field of logo design. We provide affordable logo design services with the benefits of modifications and repeated revisions to get the desired result. Logo designing at Prime Scan India is developed with a corporate look, and the whole work will be completed under the approval of our clients. Our logo printing services include varies types of logo designing including Corporate logo design, business logo design, designer logo design, institutional logo design, etc. Even you can get WordMark or LetterMark Logo, Emblem (Text inside the symbol) logo creativity, Pictorial mark, Brandmark, Combination Mark or Iconic (Text and Symbol both) Logo designing services at Prime Scan India. Our professional experts understand the industrial standards very well and to keep up the quality of the services. We aim to keep the logo simple yet bespoke, relatable and completely relevant to the business requirements. Custom Logo design services can bring about a sea of change for your company. It will create a separate space for you in today’s competitive world. Customized design logo makes the brand of your company memorable and reflects the brand. Add your image and concept in the custom designed logo without using any standard template formats or doing like cookie cutter concept. The customized logo can set your brand apart from others in the competitive market. Prime Scan India is one of the leading logo design company in India which gives value to every requirements, suggestions, and request of the clients that come on our way and focus on those areas to ensure utmost satisfaction to every client we work. All our designers provide a strong foundation for the branding of the business. We don’t do cookie cut anything. You will get a bespoke logo from us that set you apart from the competitor. Our designers with their diverse creativity can provide you with dozens of concepts for the logo designing for all its clients. We are the creative partner where you would get 100% unique logo with free design consultations and 24/7 hours of customer support. We always put effort to keep the logo design simple yet innovative, timeless, relevant and easy to understand. Wide varieties and latest designs are used by us to create a unique logo. We always make our designers updated so that they apply new and successful techniques to create outstanding logos. 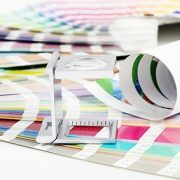 Check out our new offset printing services & know how you boost your brand.